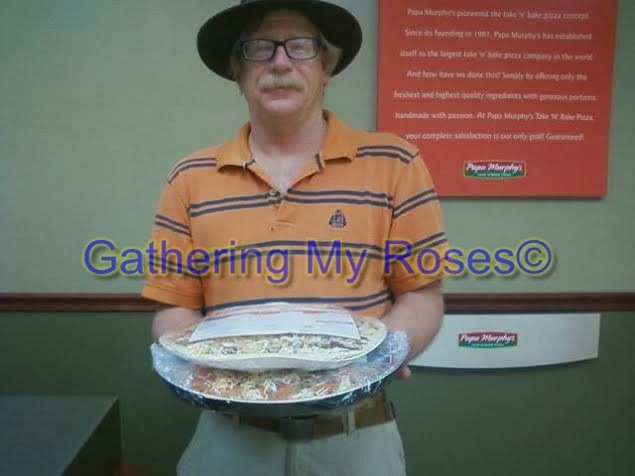 Gathering My Roses: Papa Murphy's Pizza Review! 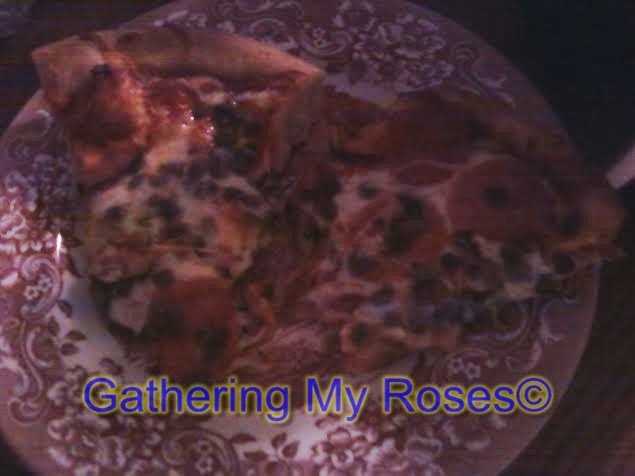 Tonight, Review Daddy and I were introduced to a new way to enjoy pizza: Papa Murphy's Take and Bake! When I first heard about Papa Murphy's, I was skeptical. After all, you either eat at the pizza parlor, take it out pre-cooked, or buy it frozen. 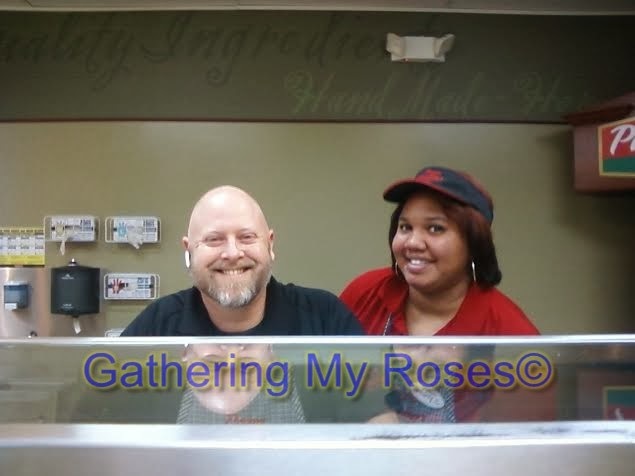 Not so at Papa Murphy's! The pizza is prepared from fresh ingredients while you watch! It's packaged in a disposable aluminum pan and presented to you. You take it home and bake it up at your leisure! Love at 425 degrees! We decided to try the NEW Pan Pizza. We ordered a large pepperoni and beef (for me and Mom). Using a coupon from Papa Murphy's E-Club, we also got a second pizza for 50% off! Review Daddy got his very own beef and mushroom pizza! Now, get this: We had spent only $12.00 at this point, so we decided to get dessert. We chose the Cinnamon Wheel. 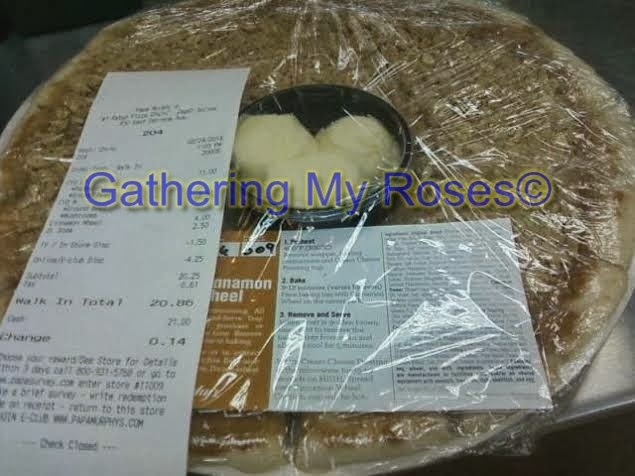 Add a soft drink, and our total for two large pizzas, a dessert pizza, and 2-litre drink was $20.86! Try doing THAT at a pizza parlor or a regular take-out! The staff was fantastic. They greeted us with smiles, they were informative, helpful, and ever-so-patient! They happily provided us with detailed instructions on carrying the pizza home and baking it. Nothing left to chance, we left armed with everything we needed to know. We got home and started baking! The flavour is fantastic. The tomato sauce is not spread too thickly -- I like that. Too often sauce overwhelms the pizza but not here. The cheese just melted so beautifully and pulled in long strings when it was hot. It's the closest to real Italian pizza I've had in Savannah! The pepperoni is sliced thin and has a nice zing. Approval all 'round. 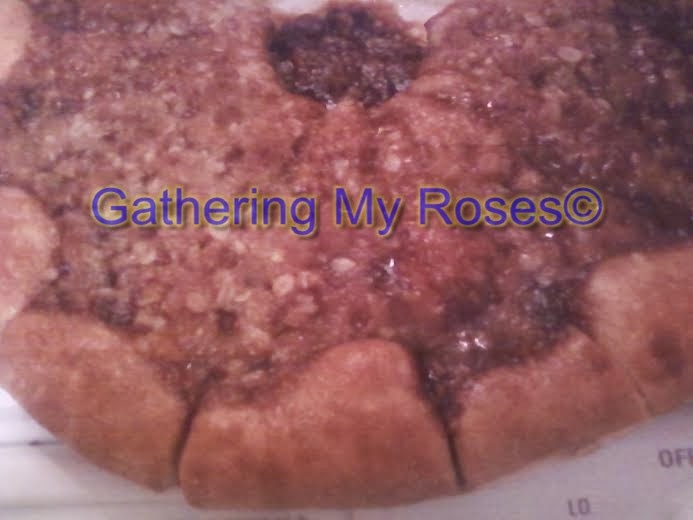 The Cinnamon Wheel is just heavenly and smells so good whilst baking. It tastes even more delicious than you can imagine! All-in-All, it was a great experience for us. We WILL be back! I highly recommend Papa Murphy's for your next pizza night. Check out Papa Murphy's Menu to see the great styles, sauces and toppings available! 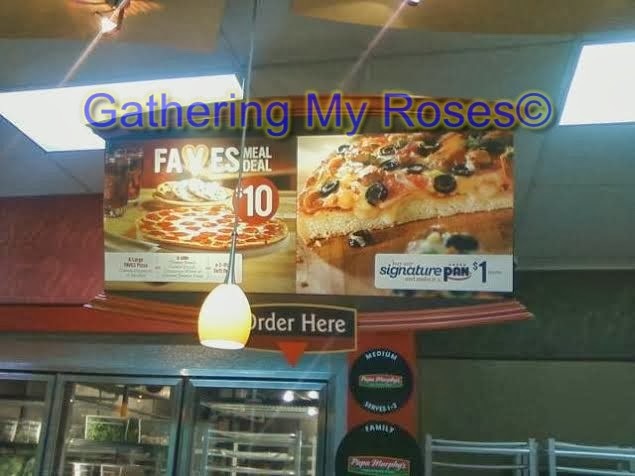 This post is part of a sponsored campaign with Papa Murphy's and MomSelect.